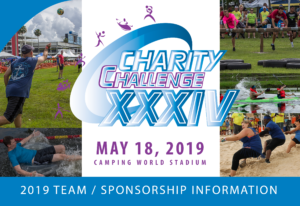 Teams | Charity Challenge INC. Calling the hospitality industry (restaurants, bars, clubs, hotels) and apartment communities! 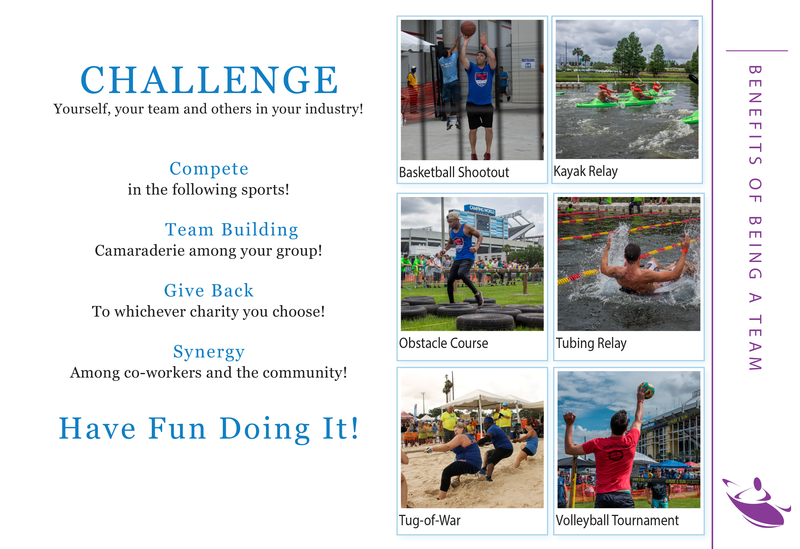 Come out and compete against each other in six co-ed athletic events such as obstacle course, tug-of-war, kayak relay, volleyball, tubing relay and basketball shootout to raise funds for local charities. This is a great way to form employee unity, team spirit and reduce turnover rates by keeping them loyal to your company. All of your team’s contributions go to the charity of your choice. So, are you up for the CHALLENGE?! Why not?? Basketball Shootout-Shoot from various distances for most points. Kayak Relay-Three two-person laps, round eliminations. Obstacle Course-Race through a series of obstacles, using the best time. Tubing Relay-Six-person relay, round elimination. Tug-of-War Contest-Team with rope marker on their side after 90 seconds wins. Volleyball Tournament-Team scoring 11 points and a two-point lead wins. For Event Rules, CLICK HERE! Companies must be from the Hospitality Industry or an Apartment Complex. Or your company must be a member of a hospitality or apartment association such as, the Apartment Association of Greater Orlando and the Central Florida Hotel and Lodging Association. Teams must consist of at least three females and three males for each event, except in tug-of-war which only two females are required. Teams can have as many participants as they wish, as long as they have all registered and signed the insurance waiver. Hospitality teams must consist of only paid employees. Apartment developments must consist of rent-paying residents and/or paid employees of the complex. $500 tax-deductible fee UNTIL April 1st. $550 tax-deductible fee AFTER April 1st. with at least half going to the charity of your choice. All participants are required to sign an insurance waiver prior to competing. All teams will be asked to donate at least $100 in gift certificates so we can distribute to our valued volunteers. SHOW YOUR COMPETITIVE SIDE. SIGN UP YOUR WINNING TEAM NOW! Simply fill out our TEAM APPLICATION and return it back to our office. You may also register your team ONLINE! CLICK HERE FOR ONLINE APPLICATION.